Dimensions 1.25 by 7.50 by 9.25 in. In just the past several years, we have witnessed the birth and rapid spread of social media, mobile phones, and numerous other digital marvels. In addition to changing how we live, these tools enable us to collect and process data about human behavior on a scale never before imaginable, offering entirely new approaches to core questions about social behavior. Bit by Bit is the key to unlocking these powerful methodsâa landmark book that will fundamentally change how the next generation of social scientists and data scientists explores the world around us. 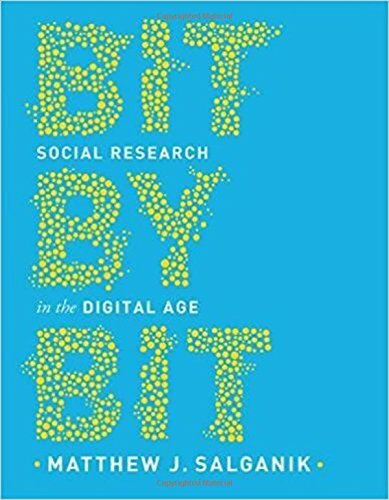 Bit by Bit is an invaluable resource for social scientists who want to harness the research potential of big data and a must-read for data scientists interested in applying the lessons of social science to tomorrowâs technologies.